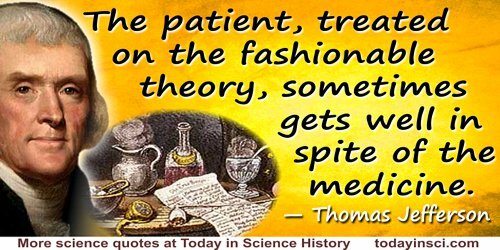 Dutch physician, botanist and chemist , who has been called the “founder of clinical teaching.” He founded a hospital where he combined practice with clinical instruction, a method carried forward in modern medical education. Simplicity is the sign of truth. Favorite motto. Inscription on a monument to Boerhaave at the church of St. Peter, Leyden, Holland. In 'Memoirs of Boerhaave', The Literary Magazine, and American Register (1 Sep 1807), 8, 67. A disease which new and obscure to you, Doctor, will be known only after death; and even then not without an autopsy will you examine it with exacting pains. But rare are those among the extremely busy clinicians who are willing or capable of doing this correctly. In Atrocis, nee Descipti Prius, Morbi Historia as translated in Bulletin of the Medical Library Association (1944), 43, 217. Chymistry. … An art whereby sensible bodies contained in vessels … are so changed, by means of certain instruments, and principally fire, that their several powers and virtues are thereby discovered, with a view to philosophy or medicine. Generation by male and female is a law common to animals and plants. In Louis Ferdinand Compte de Marsilli, 'Preface', Histoire Physique de la Mer (1725), ix. He that desires to learn Truth should teach himself by Facts and Experiments; by which means he will learn more in a Year than by abstract reasoning in an Age. As quoted in Thomas Steele Hall, A Source Book in Animal Biology (1951), 486. If a Schirrus by long standing, increasing, and motion of the adjacent Parts is thus moved, that the neighbouring Vessels around its edges begin to inflame, it’s become malignant, and from its likeness to a Crab, is now called a Cancer, or Carcinoma. Aphorism No. 492 in Boerhaave’s Aphorisms: Concerning The Knowledge and Cure of Diseases (1715), 113. It were indeed to be wish’d that our art had been less ingenious, in contriving means destructive to mankind; we mean those instruments of war, which were unknown to the ancients, and have made such havoc among the moderns. But as men have always been bent on seeking each other’s destruction by continual wars; and as force, when brought against us, can only be repelled by force; the chief support of war, must, after money, be now sought in chemistry. A New Method of Chemistry, 3rd edition (1753), Vol. I, trans. P. Shaw, 189-90. The poor are my best patients. God pays for them. As quoted, without citation, in John Walker, A Fork in the Road: Answers to Daily Dilemmas from the Teachings of Jesus Christ (2005), 94. The venereal Disease first invaded the Spaniards and Italians, before the Efficacy of Mercury was known. … By the Use of Mercury, given with Discretion, so as to raise a Salivation; after the Use of which the whole Body, in a manner, seems to grow young again. In Dr. Boerhaave's Academical Lectures on the Theory of Physic (1746), Vol. 6, 266-267. In Dr. Boerhaave's Academical Lectures on the Theory of Physic (1746), Vol. 6, 264. What Doctor is there, who while he treats a disease unknown to him, might be at ease, until he had clearly perceived the nature of this disease and its hidden causes? Whatever State of the Human Body doth disorder the Vital, the natural, or even the Animal Functions of the same is call’d a Disease. 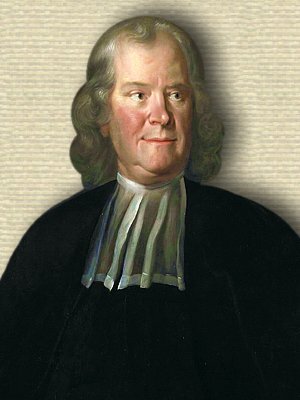 31 Dec - short biography, births, deaths and events on date of Boerhaave's birth.